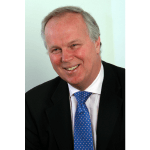 Nick’s career encompasses manufacturing, management consultancy and professional services. He was Marketing & Business Development Director, Global Industries at PricewaterhouseCoopers until retiring in 2015. He is Chairman of ART Business Loans, a Community Development Finance Institution lending to businesses across the West Midlands who are unable to access traditional bank finance. Nick is best known for his voluntary work with the Third Sector, for a period exceeding 25 years. He is Chairman of Thrive and Deputy Chairman of Birmingham Civic Society. Focusing on young people, education and employability, he has worked with dozens of charities (primarily in fundraising) including The Prince’s Trust, St Basils, The Access Project, Ahead Partnership and City Year UK. He is a Governor of Bromsgrove School. Nick is an Honorary Life Member of Social Enterprise West Midlands and a Board Member of the School for Social Entrepreneurs. In 2017, Nick received an Honorary DSc from Aston University in recognition of his work for young people and education.